I am sitting at my desk in Bangalore, India, trying to figure out why so many startups around the globe fail. Many times, startups are backed by great ideas as well as awesome founders, then why can’t things be materialized as intended? From what I understand, and I am sure many will agree with this as well, the biggest challenge for startups today is not securing funding or having a great idea, rather the biggest challenge is hiring. This challenge is being faced equally by startups around the globe. In India, particularly, the challenge is huge because we are also trying to overcome the social aspects when it comes to working for a startup. Most fresh graduates do not really think about working for startups. They are more willing to sit without jobs than to work at startups. Although this trend is changing slowly, we still have a long way to go before some glamour can be added to a startup job. Coming back to global terms, starting a company today has become a lot easier than it was a few years ago. Technology is less expensive. Cloud-based applications and infrastructure, as well as open-source software, are often very cheap or even free. Funding – from angel investors, venture capitalists and crowdfunding sites — is available in abundance, and many startups are finding they need less of it than previous generations required. What is it that hinders growth then? Well, hiring and retaining your rockstar employees is the biggest challenge today. Startups have to directly compete with biggies like Google, Facebook, etc even while they are bootstrapped. The bigger challenge comes in finding good talent to work with you. As launching a company becomes easier and more straightforward, a lot of smart people would rather start their own companies than go to work for someone else’s. Result: a lot of open tech positions at startups and not enough qualified, committed people to fill them. If you are looking to hire an engineer, make sure you have something innovative in hand. Many would join because they are hungry to work on innovative products rather than money involved in it. It has been seen that many of those who come from smaller cities tend to be better employees at startups than those who belong to tech savvy cities. The latter have more of a jumping tendency where they prefer working on one startup for a few months and then move on to another for a few months and so on. People who have served big companies come with big price tags which they tend to hold on to. In that case it is better to avoid such people because you know they are in for the money. Let me remind you again what our challenge here is – Hiring Good Talent, right? So, if we want good talent to work for us, we need to give something extra. There are reasons why many startups today are so successful. You need to make your potential employee realize that you have a product-market and apart from the regular pay and perks, he has the privilege to make loads of cash if the product is a success. This will make them work harder to make the product a success rather than quitting your startup and starting one of their own. We need to realize that the chances of the perfect startup employee walking in your is fairly rare. So, startups need to go out and find the people they need by courting them. Startups are expected to be innovative. Do not expect your employees to stay with you if they are not enjoying the work and the workplace. Make sure you are always innovative. Also, startups being small have the advantage of doing thing with no red-tape involved. Make sure you don’t get entangled in bureaucracy and keep moving quickly. I believe there comes a time when we actually have to accept we are a startup and take decisions accordingly. Don’t be too choosy, instead use what you’ve got and try making it better. If you employ a different strategy to find and retain your first employees, then do let us know in the comments. 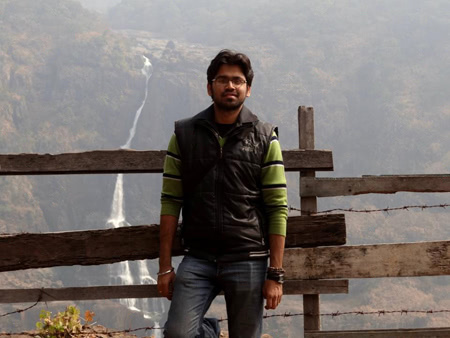 Prateek is the Managing Editor of TheTechPanda.com, a tech news and startup review site based in India. He calls himself a successfully failed entrepreneur and loves traveling and photography. You can know more about him at About.me/PrateekPanda.